Was sick for a few days – I knew I needed a break but I had been planning on taking it when I got to Mendellin. I guess if you really need one, your body will take one! Stopped off for a night at Toronto airport, where I got to meet a twitter friend IRL for sushi, which was awesome. One of my friends came to Heathrow to hang out with me too, which was awesome. Got bumped up to business class from LHR to YYZ which was amazing… I have missed business class! And after 2 days and 3 flights, I finally arrived in Mendellin, Colombia, where I’ve been exploring. I’m working on improving my Spanish! I took a tiny bit in high school and when people don’t speak English… well you figure it out. Light week! Still working through feedback on my workshop, really happy to see how many people want something like this! And some other things are starting to progress, which is good. 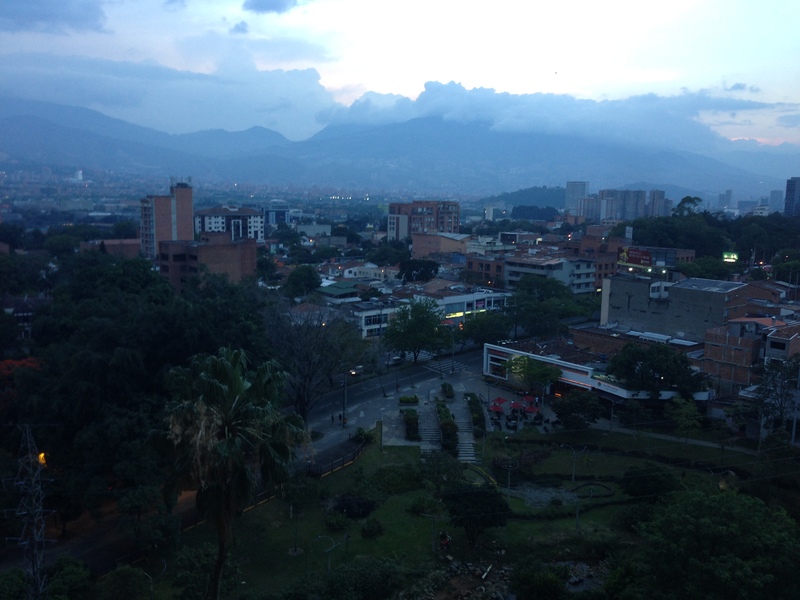 Really looking forward to some time to focus when I get to Bogota. I want to get Android moving forward again! I feel like I have had very little time for Deep Work all through March, and whilst I can do an hour of iOS and make progress, I’m still sufficiently intimidated by Android that I like to have a large block of time to work on it. Airports! Had lunch at LHR, and went to Prince Japanese Steakhouse (tasty sweet potato sushi), and stayed at the Best Western Toronto Airport (fine). Taking a bit of a break from Gossip Girl – had got so dramatic I was starting to tire of it. I’ll pick it up again soon! Finished Thinking in Systems (great), and The Sleep Book (helpful), read I’ll Take New York (soppy), Love Rules (bittersweet), and just started Home Truths. @richiepope: [pic] One of the hottest takes on the language of racism I’ve ever read.